This was the profound question asked by a visiting, overseas, real estate expert who was looking at property for sale advertising in Auckland recently. Everywhere she goes she checks out the local market but she could not understand why we have chosen to hide our property prices so carefully. When the market was a seller’s market auctions and tenders were popular because competition may have been helping sellers to get ever-increasing prices. Now we have a buyer’s market across many price brackets and locations around Auckland so why are we still seeing auctions? Buyers usually have a finite amount of money they can spend on a house so focusing their attention on the houses they can afford just makes sense. But with prices being such a secret what chance do they have to be focused? What amazes me is that not only are prices being kept hidden from buyers (even if it doesn’t sell at auction it is listed as “By Negotiation”) but in many cases it is also hidden from sellers. Appraisals for properties you would expect to find around the median price are often showing a price range difference of $100,000. This is extraordinary when there has never been more price data available and more analysis being done. In most cases of average homes in average locations experienced buyers can set a considerably narrower price band. Isn’t it time that the real estate industry remembered that buyers are half of every transaction and that making pricing as transparent as possible will allow buyers to make buying decisions more easily and thus ensure that sellers are able to sell more quickly? A win-win for everyone surely. The flooding over the past few days has been devastating for many people in Auckland with homes damaged by water and slips. Sadly, with global warming we will be seeing these extreme weather conditions more regularly and “once in 100 year” conditions becoming more common. When you are considering buying a property you need to know if the property is at risk of flooding or slips and the property’s file at Council should contain this information. 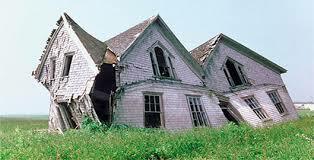 If you obtain a LIM report for the property it will include any known problems. Now that the urgency has gone from the market buyers have more time to get a LIM report if it is not provided by the seller and to talk it over with the Council as well as your lawyer. Banks are already looking more closely at LIM reports and I expect more loans to be declined on properties in areas which are prone to flooding. Be careful about where you are considering buying and get as much information as you can before making any commitment. When you own property, whether you live in it or rent it out to others, you love to see the value of it rising. That’s because your equity (or share of the value) rises by the same amount. There are only 2 ways to increase your equity in a house; by paying off some of the debt (the home loan) or by the value of the house increasing. Of course you can’t actually use that equity unless you sell it or borrow against it to buy more property but it certainly makes you feel richer. 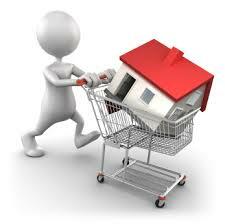 That’s the reason that so many people want to own property in areas of rapidly rising values. Unfortunately it is also the reason that many people make stupid buying decisions. Rises in values or capital gains as they are often referred to have been a certainty in the long term in New Zealand but they are much more of a gamble in the short term. House prices do go up, down and sideways in unexpected patterns. That’s ok if you are capable of waiting out an unwanted trend by buying long term but it can be a problem for short term buyers. This is because rapidly rising values lead to rapidly rising loan amounts and to the necessity of finding more income to meet the repayments. This situation is often experienced by investors whose rental income is insufficient to meet the outgoings so they pay part of the outgoings from their personal income. Some even decide to use interest only loans to reduce their outgoings. They are often very focused on the effect of capital gains on their equity and overlook factors which can impact their position in a very negative way. There are 2 types of factors that can occur here; external and internal. The global financial crisis was an example of an external factor which had huge impact on New Zealand. Internal factor examples include interest rate rises, job losses and family changes. When an investor is negatively geared (outgoings are higher than rental income) then if there is a time period when values go down rather than up the banks may restructure their lending and they may require those borrowers to reduce their debt with a large capital injection. In other words you may be asked to pay back a percentage of the loan immediately. It has happened to investors in the past. So what other option do you have if you want to buy an investment property? 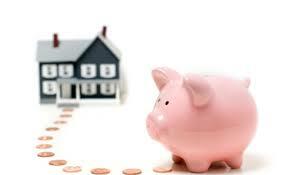 Well, many wise investors buy based on yield or the return they get from their rental property. They pay a deposit as well as using their equity to finance it and use principal and interest loans. They ensure that their equity in a property is high enough to ensure that if values go down their bank will still be comfortable with their lending. These investors buy in locations where the capital gain may be smaller but the return is better so they are more comfortable in the short term and still enjoying growth in the long term. And it’s because of their strategy that they can afford to hold them long term. You need to decide if you will gamble on short term gains or accept slower, long term gains with much less risk of it disappearing. 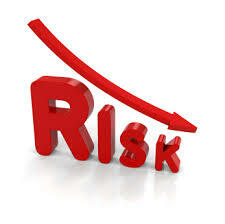 It comes down to your risk profile, personal situation and financial stability. Most importantly, seek professional financial advice rather than following a plan just because it looks like everyone else is doing it. Happy New Year. I am sure you have begun the year with excellent intentions as I have (and as I do every year) and are hoping that this time you turn your goals into reality while kicking those bad habits into the past forever. We are so fortunate that we get to move into the new year in summer when anything and everything seems possible and when most of us have enjoyed some holidays. It certainly makes it easier to set goals and prepare action plans for the year. Last year ended quietly for the Auckland property market with prices levelling out and the number of properties for sale increasing. The impact of the lending criteria changes and the reduction in bank lending hit investors hard just as the Reserve Bank intended but given time I am sure that they will bounce back as they have through previous changes. An article in the New Zealand Herald examined what is likely to happen to house prices by interviewing economists and the most interesting aspect for me was that they all agreed that there have been no changes to the fundamentals that are driving the market so it is likely that it will continue in the same trend that we saw before these limitations were put in place. In other words; they don’t see it as a bubble which could burst but rather as a reflection of the way in which Auckland has become an international city. Of course this doesn’t mean that everyone will be happy with the way the market is developing. For investors the extremely low returns they are getting for their funds invested in Auckland housing may lead many to look elsewhere. The problem is they are often trying to find that elusive part of New Zealand where they can get a higher yield as well as capital growth. And first-home buyers will continue to struggle to be able to buy especially in the suburbs they really want to live in. The move into becoming a property owner in Auckland does not look as if it is going to get any easier and could become even more difficult if interest rates begin to rise later in the year. I think that the Auckland market will offer very different challenges this year depending on your life stage and financial goals. Retiring baby boomers looking for higher income may see that having so much money invested in Auckland property is not giving them the lifestyle they want and may consider other locations and investments. Younger families may also see opportunities in other parts of New Zealand where a first home is much more affordable. But Auckland will keep growing and the increasing number of people will continue to keep driving the need for more housing so the challenges of buying property will be with us again in 2017. Just remember that whatever your property goals are for this year your action plan to achieve them will need to contain difficult strategies and painful compromises but in 20 years’ time you will be glad you had goals and that you followed through to achieve them – of that I am very sure. Regardless of the current easing of the Auckland market it is very clear that there are no indications of a sudden drop in house prices. There are also no indications of a sudden increase in the amount of money being earned by average workers such as teachers and nurses. I am not surprised to read of examples of those average workers considering their options including leaving Auckland to achieve their dream of owning their own home. Over time it is clear that more and more of them will also be considering their options. However, there will also be a time when there simply won’t be enough jobs out of Auckland to support them and the issue of unaffordable housing will still loom large. The issue exists in every large city around the world and there are no indications that it is being solved. We in New Zealand seem to believe that building more houses and apartments is the answer although we have no idea of who is going to build them or how they will finance it. If simply building more homes was the answer to housing affordability then why hasn’t this solved the problem in other large cities? I believe that the bigger Auckland becomes (whether in width or height or both) the more it will attract people and businesses wanting to be part of it. This will continue to feed the demand and that will continue to feed the price rises. There may be some short term downturns which will impact prices but clearly over the long term Auckland will continue to become more and more expensive. This will inevitably lead to a reducing percentage of our residents being able to own their own home. What planning is being done to ensure that there are enough investors willing to provide the homes they will live in? And what protections are being put in place to allow them to live with long term, secure tenure? These workers need to know that they can live in their home for as long as they wish. Rather than making it more difficult for people to own rental property we need to be finding ways to encourage it but with investment being the foundation not speculation. Speculation is the elephant in the room that no-one is willing to talk about but it is the reason that there is so much animosity between those with money to invest and those needing homes for their families. Currently the only control on speculation is the tax payable when a property is sold within 2 years or if it can be shown that the investor bought the property with the intention of selling it when the value increased sufficiently. Once the 2 year limit has passed then trying to trace sales and prove intent is virtually impossible. Property investment is an essential part of our housing mix in New Zealand and it is becoming more and more important in Auckland. I can’t wait to hear what our political parties will be doing when the next Government is formed to put in place strategies to ensure that at least affordable, long-term rental homes are available to Aucklanders if they can’t afford to buy. At the moment the silence is deafening. The Auckland property market has definitely changed. Activity has slowed down as have price increases. Investors are unable to buy as easily and first home buyers have hit the wall of unaffordability. The factors which were driving the market have not gone away – we still have a growing population and a shortage of houses but the demand has reduced significantly. The slowdown has not occurred because of any particular event but because of a combination of circumstances. Investors need to have a 40% deposit, banks are reducing their lending and wage rates cannot keep up with the amounts needed to pay a home loan. Minister of Finance Bill English is determined to keep this lid on the market tightly clamped down by suggesting that interest rates should start to rise in the near future, which will impact on borrowers very strongly. There is no indication that prices will fall in the market but prudent home owners and investors are looking at the constantly moving property cycle and putting strategies in place to ensure they are well positioned to ride out this flat period. No one likes to buy a house at the peak of the market and because there is no neon sign announcing when it has been reached, when a slowdown starts to occur many buyers become very cautious and prefer to wait until the indications are clearer. This caution tends to accelerate the slowing down of course. So the strategies that many are putting in place include refinancing home loans to lock in rates, changing from interest only to principal and interest loans, redoing budgets to pay loans off more quickly, buying more carefully to ensure they are buying the best property and improving properties to increase their returns if they are investors. Any home owner or investor who has been through the complete property cycle before (and there are plenty who have been through many cycles) are putting strategies in place to protect their assets and to ensure that their cashflow is as strong as it can be. And they are doing this not because they anticipate a decline but because they know that a flat period is the right time to put these strategies in place. This change in the market may be followed by rises in house prices across Auckland again but it may not and if we do start to see some decline in prices in the future everyone will need to ensure that they are in the best possible position to hold on tight to the property or properties they own. The best way to do that is to start sorting out your personal strategies now. This was the fortunate position that many baby boomers found themselves in. They bought their first home when they were young and gradually changed it for a bigger and bigger home. Today’s first home buyers are not going to have this opportunity as house prices rise faster than salaries creating a situation where servicing a home loan on a very modest home will likely be as much as they can manage until their children grow up and leave home. 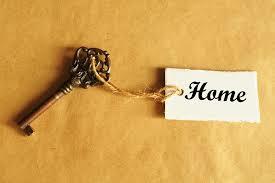 Instead, new buyers need to accept that the home they can afford now is going to be a long term home. But what about capital growth I hear you shout? Well, all that happens is that the market moves up fairly evenly across all types and so although your house may go up in value so will the house you want to buy but your ability to pay higher home loan repayments probably won’t. The truth of the Auckland market is that first home buyers will buy what they can and stay on that first step for most of their lives. So property buyers need to focus on the fact that while smaller may not be better it is their new reality. Whether it’s the wish list for a house or the items you can’t take off your expenses in your budget there are always many things in life you enjoy and want to keep enjoying. The reality of living in Auckland is that while everything is more conveniently available most home owners have to learn to do without those things they used to believe were essential. Why would anyone be paying for a guest bedroom when it only gets used occasionally? And does anyone really believe that 4 people in a family can’t share a bathroom? Instead of focusing on what you can’t do without try making a list of what is actually essential on an everyday basis. If you need a reality check I recommend watching a programme like Location, Location, Location when they are hunting down properties in London. Seeing how little you get for your money and how accepting the buyers are is going to give you a view of how Aucklanders are going to have to think too. When I teach a course and show people actual property price trends there is always a great deal of surprise that house prices have gone down many times in our history. They are also surprised at the level of interest that many home owners paid in the past. I don’t see any indication of a large reduction in Auckland house prices looming or of double digit interest rates but I am aware that even a seemingly small rise in interest rates could spell disaster for those living on a tight budget. This is particularly true for investors who are not currently seeing rent increases which could mitigate any rises. Believing that interest rates will always be low and prices will always rise could be a total disaster for owners. Everyone needs to factor in some changes and ensure they have a plan B to deal with it. The Auckland housing market has some types of properties and some locations which will be the first to be unpopular if the market has a downturn. Although it is expensive and difficult to have properties checked thoroughly it is still the best thing to do if you want to avoid financial disasters later. Research about areas and infrastructure is easily done by you – it just takes time – but checking buildings and titles require expertise. As you have no doubt realised by now you are likely to own this house for a long time so you need to be sure that you are spending you time and money wisely. Knowing as much as you can about the house and the area before you buy is essential if you don’t want to end up with a lemon. This financial plan is at the heart of many people’s retirement planning but sadly it is becoming harder and harder to achieve unless you decide to move out of Auckland. What many Auckland home owners don’t realise is that the building of smaller houses or units pretty much stopped more than 30 years ago. That means that when you come to search for this modern, smaller house to downsize into you are really going to struggle. Not only that but with increased demand and little increased supply of these properties their prices have risen to the point of being comparable in many locations to that of larger homes. So there is likely to be little choice and less equity released if you do find something suitable. Many retiring baby-boomers are making the move out of Auckland but for the majority family, friends, hobbies and services mean they don’t want to be too far away from it so choices will continue to be limited. This probably seems like a bit of a negative post but for some buyers it is time that they recognise the new reality and made plans which will give them a happier future than they are likely to have if they continue to believe these myths. Due to having some time out for surgery it has been a while since I posted an article. During this time an enormous amount of hot air has been exhaled about the Auckland Property market – so much in fact that it may have contributed to our mild winter. Unfortunately that may be the only positive that we will be able to take from it. That’s because the panic created by the housing crisis is likely to be the catalyst for 3 major problems which will impact on housing in Auckland over the following months and years. Let’s start with the Unitary Plan which was approved by Council in August. This plan has had a huge amount of careful consideration but the impact of the changes it brings to Auckland will take many years to be seen in the practical terms of increased numbers of houses available. This is because of the time it takes to prepare land for housing and for those houses to be built. And sadly, just as more opportunity for building is being put in place the Australian banks have decided to reduce their lending to developers who would be expected to build these new houses. We may have a new plan in place but there is no vision on how the building will be financed. The consequence of this is likely to be that those developers who have funding will continue to focus on a smaller number of high-end and high priced properties rather than trying to get finance for larger, lower priced developments. After all, they are business people and that makes complete commercial sense. So we are unlikely to see the influx of houses that will alleviate the crisis being built any time soon. Another aspect of the housing crisis is that as the Auckland population continues to grow; less and less of the population can afford to buy their own home yet the Reserve Bank has decided to target property investors as a group rather then property speculators in an attempt to curb increasing property prices. While most people understand the impact that speculation can have on market prices it is not as clear that trying to reduce all property investment will actually help to hold prices in place. What it is likely to do is to reduce the numbers of rental properties available to those who can’t afford to buy a house and that won’t help anyone. So with no likelihood of the supply of available properties increasing any time soon the next progression of the crisis is likely to be panic by those who get elected into local government and those seeking to be elected (or re-elected) into central government next year. Auckland has huge voting power (if it’s citizens choose to vote) so I anticipate promises and “fast-tracking” programmes as those who want those votes try to get houses built as quickly as possible. This is the scariest scenario of all as far as I’m concerned because whenever processes are rushed or “fast-tracked” then the potential for mistakes and dishonesty to occur increases greatly. Panic created by poor decision making right through our economic infrastructure could allow new building disasters which may one day be as bad as our “leaky house syndrome” is now. How stupid would that be? I wish the Government would consider the big picture when it comes to New Zealand housing and take action based on an orderly plan to gradually change the situation we find ourselves in. And I wish they would start communicating with us in a straightforward and honest way without worrying about future elections. Isn’t that what they are employed to do? Oh dear, maybe my brain is still clearing out the last of the anesthesia and I am not thinking straight. Who knows?